The coast of Balochistan starts from Baglow in Karachi and stretch from Hub, Gaddani, Pasni, Ormara, Gwadar, Jeewani and ends at Bandar Abbas. Half of this coast is part of Iran these days. Chabbar, which is now a part of Iran, used to be center of civilization of western Baloch­istan for a long period. Gwadar is the most important division of this coastal belt which was handed over in 18th century to an exiled prince of Oman by Khan of Kalat. Same Gwadar was re-acquired by government of Pakistan in the year 1958 . Coast of Gwadar is important for historical and natural reasons. Gwadar has a natural deep sea port and fish found here is famous by the name of “Gwadar brand” which is not only beautiful but also tasty. Water is clean near the coast of Gwadar and that’s why fish remain fresh for longer period of time. At a time when everyone is busy in estimating the benefits of CPEC, no one is planning to secure the livelihood of the fisherman community which makes 70-80 percent population of the area. No effort is being made to incorporate the fishermen into the development process. 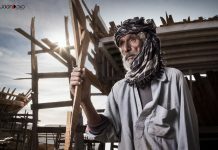 In 2010, a resolution was passed in Balochistan Assembly which demanded that fishermen should also be made part of Labor department and they should also get Labor Social Security. It’s strange to know that when Fishing is an indus­try then why the fishermen do not have the status of labor. 6 years have passed and the notifica­tion has not been issued yet to deadline fisher­men as labor. Akbar Askani, former advisor to CM on Fisheries told Balochistan Inside that last government is responsible for the plight of Fisherman in Gwadar who did not pay attention to the issue despite several reminders. According to the Fisherman community elected representatives never show their interest in prob­lems of fisherman and they are only interested in meeting people at the time of elections. Majority of the people in Fisherman unions are illiterate and that’s why there has been no head­way in solving the problems of decaling fisher­man as labor. Concerns of the local fisherman regarding Gwadar port and CPEC are increasing with passing of everyday. The place where local fisherman of Gwadar auction their fish, a board has been installed by administration which reads “This is a Prohibited Area.” Although fisherman have not yet been stopped from using that place but there are announcements that they would be shifted to Pishkan and Sarband. 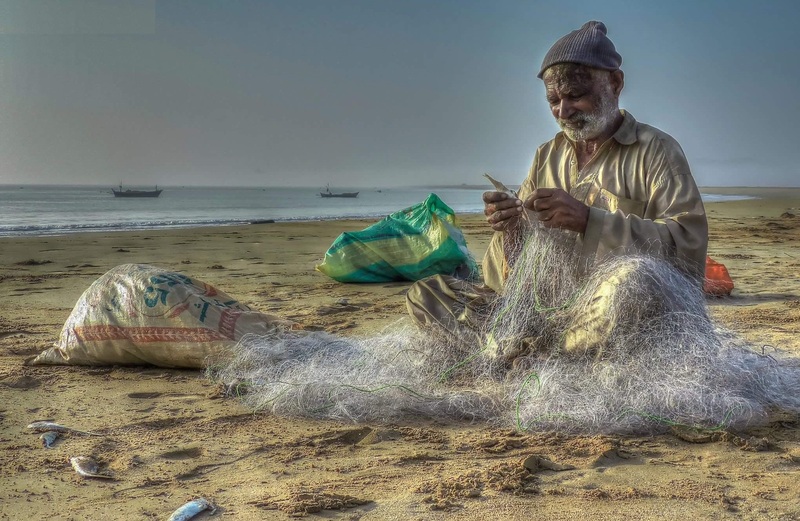 This announcementis a major concern for the fishermen because they -are settled in Gwadar city and their boats are also docked at the coast of Gwadar. Therefore, moving fish from Gwadar would tantamount to destroying their business. Khuda Baksh, a local Fisherman, said that all over the world when ports are built first of all local fisherman are take care of and they are provid­ed a decent place near the port so that their business is not affected. He further added that our ancestors have played their part in develop­ment of this city but unfortunately today we are constantly being ignored in the development process of the city. 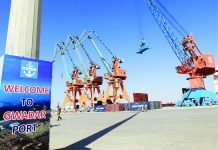 Recently, a cargo ship from China docked at Gwadar port and the coast was completely sealed off for the local fisherman. In Gwadar city the problems of local population are unresolved and at the same time working is going on rapidly on the projects which are not related to the welfare of the local population. Gwadar Expressway which is 18 KM long and 25 feet wide will be a source of problem for the local fishermen. This road will be constructed along the coast and it will make it almost impossible for the fishermen to safely docked their boats in case of storm and cyclone. 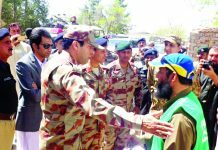 They demand that a protec­tion wall should be built along the road so that their livelihood is not affected in anyway. Rahim dad, a local citizen, told Balochistan Inside that we are not against development but we see fewer gains and more dangers for us in this proposed development of Gwadar. It has been unfortunate that in all mega projects of Balochistan such as Saindak or Rekodiq local people are always ignored. This leads to creation of feelings of uncertainty and insecurity among people which in turns is a threat for the stability of the country.